Have more questions about ETC services? Check here, and if you don't find an answer to your question, please contact us directly. Are any of ETC's services E-rate approved? What does becoming a member in ETC require? Can I utilize some of the ETC services without becoming a member? Who are some of the members of ETC? What do ETC's services cost? What networking and technology services does ETC provide? What financial support services does ETC offer its members? What is the ETC structure? Can I receive the ADE Updates produced by ETC even if I'm not a member? We have a lot of staff turnover in our district. How can ETC help with that? In a word, yes. Many of ETC's services, especially those related to Internet access and connections, are E-rate eligible. If your school or district qualifies for E-rate, you'll not only effectively lower the cost of our services with E-rate funding, but you'll be adding more support services to keep your servers and network running. To learn more about E-rate, check out our E-rate informational page. Our member school districts pay a low annual membership fee of $500 and complete a cooperative purchase agreement that is signed by all members and the University. To receive a copy of the cooperative purchasing agreement, contact ETC. Yes. Many schools are not members and pay slightly higher rates for services on a purchase order basis. Our members include schools across Arizona. For a more comprehensive list, visit our Members' page. That depends on the services you use, with the cost of each service being split among the districts using those services. By sharing the resources and staff of ETC, schools are able to maintain a much higher level of technical proficiency and support than if they had to pay all the costs themselves. Our services can be any combination of financial, student information, network and Internet services. For the fees that would apply to your school needs, please contact us for a quote. You can view a detailed list of all networking and Internet services. If you have a question about a specific technology need, contact our Technology Department for more information. We provide an integrated suite of applications that include general ledger, accounts payable, purchasing, inventory, work orders, budgeting, fixed assets, accounts receivable, cash receipts, payroll and human resources, as well as required Arizona and Federal reporting. 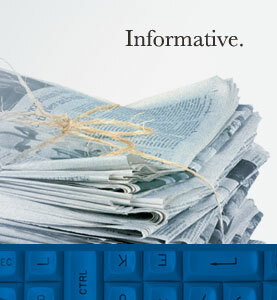 We offer powerful reporting tools. Please review our Finance Services page for more detailed information, or contact us directly to discuss your school's needs. Education Technology Consortium is a cooperative venture of member school districts in Arizona. We are made up of public school districts, charter schools, county school superintendents, and Northern Arizona University. We were established in 1974. Our cooperative purchasing agreement is a five-year agreement with a three-month notification to leave the consortium. This provides you with the greatest flexibility, while providing some stability for the consortium. Yes. The fee is $800 per year for non-members. The ADE Update mailing keeps our members and subscribers informed about updates and changes in the ADE requirements. We are invaluable when you have high turnover. We are there for support in the interim and will provide training for your new hires once they are on board.